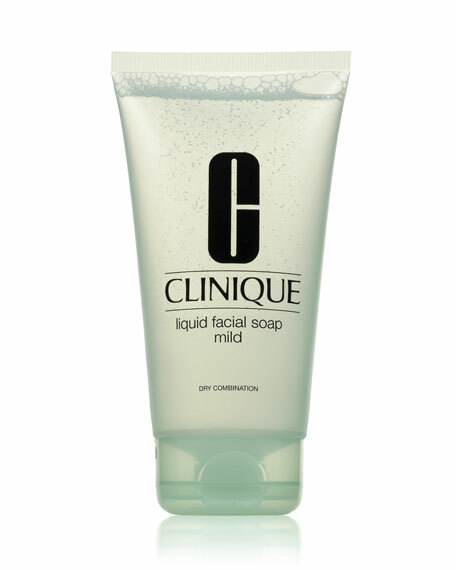 Step 1 of Clinique's 3-Step Skin Care Systemthe Liquid Face Soap has all the benefits of Clinique's famous dermatologist-developed facial soap in a new, mild liquid formula. Cleanses without stripping protective lipids. Convenient pump dispenses just the right amount. Custom-fit to skin type in very dry to dry, dry combination, and combination oily/oily skin formulas. With tepid water, lather facial soap between palms. Massage over face and throat.